Hundreds of thousands of poppies have been sown in a special garden at Wild Place Project to commemorate the centenary of the end of the First World War and to honour those who lost their lives defending our freedom. More than 100 varieties of poppies, including the field poppies that grew in the battlefields on the Somme, Ypres and Passchendaele have been sown. Wild Place Project, which is just off junction 17 of the M5, has dedicated part of its Sanctuary Garden to the extensive semi-circular poppy beds. By mid-summer’s day in June (24th) it is hoped that the garden will be a kaleidoscope of colour with each flower helping to commemorate the many lives sacrificed in the 1914-18 war. As well as the instantly recognisable field poppies, which are the Royal British Legion’s symbol of remembrance, there are a host of exotic varieties including oriental poppies. They will flower at different times during the coming months some yellow, others, white and some vivid pink and purple. 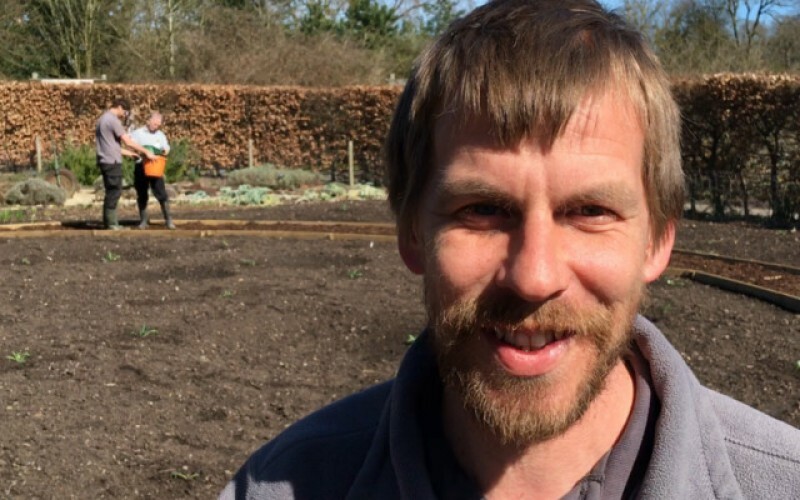 Wild Place Project gardens’ supervisor Andrew Harrison spent weeks searching websites and contacting specialist growers to find the different varieties of poppies. Work on preparing the Sanctuary Garden started in April when Andrew and his fellow gardeners began weeding and then cultivating the soil ready for the poppies to be sown. The poppies include the ladybird poppy named because its colourings mimic the insect. Also in the garden is an air raid shelter from the Second World War which is being opened to the public for the first time in more than a generation. Other parts of the garden will be turned into allotments growing vegetables as people did during the Dig for Victory campaign during the 1939-45 war.